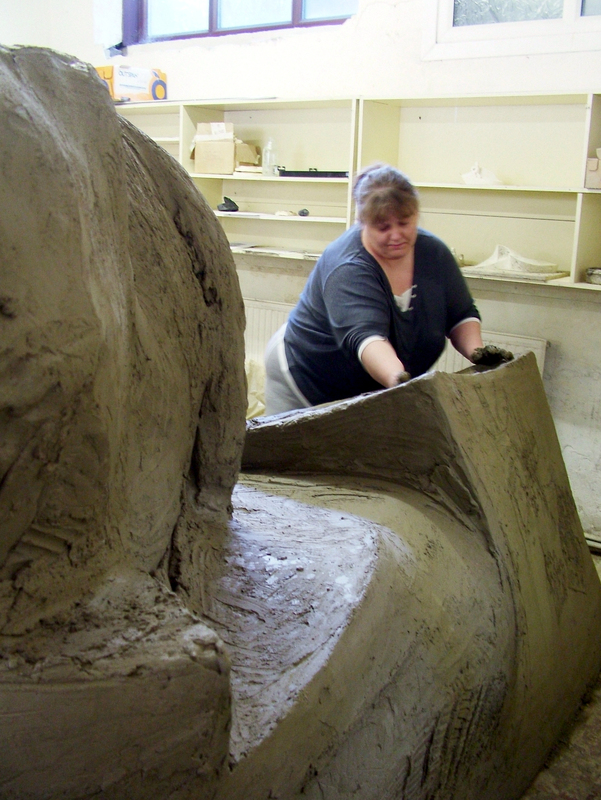 The process of commissioned sculpture is deeply satisfying. Joining forces with the people that will live with the sculpture, I listen carefully to why the sculpture is needed and I pride myself in bringing out the commissioner’s voice. Public monuments, memorials and sculptures for your home should hold something of you and it is my job to put it there. 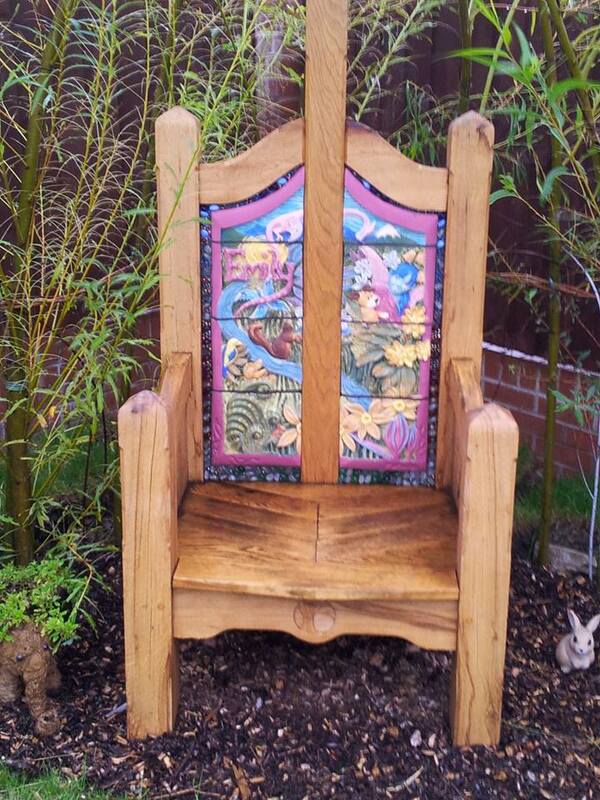 The Sirhowy Wyvern, designed and made with local people of all ages and abilities to tell Sirhowy’s story. 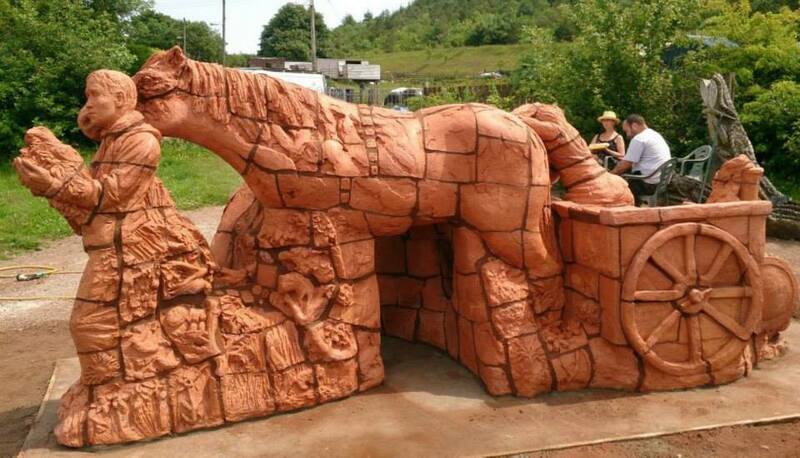 2m h x 2m w x 3m l, Brick Sculpture, Tredegar, South Wales. 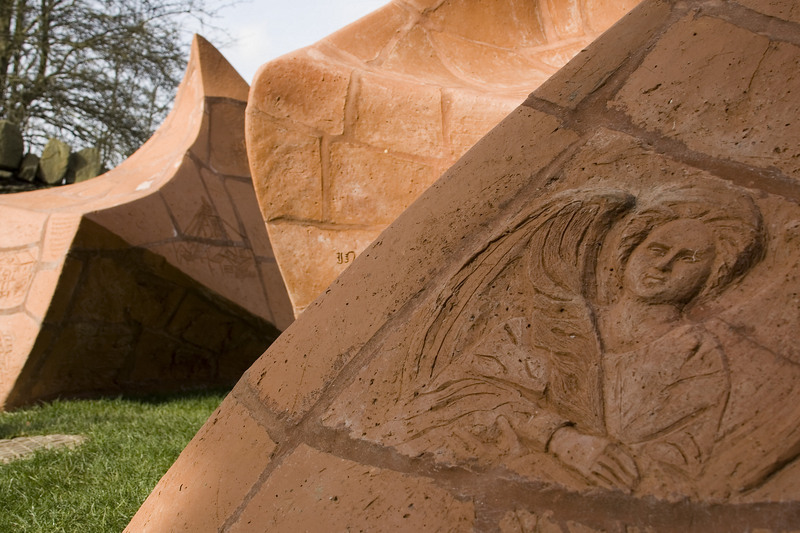 For Public Sculpture to genuinely have a sense of place they are best made collaboratively. I have become very skilled at drawing together many disparate ideas into narrative Monuments that radiate sincerity. Opportunities for people of all abilities, levels of experience and availability are designed into the piece. The building method allows community members to join in and, with guidance, add their own art-work that will be a point of pride for generations. The materials and designs are very durable and that, coupled with local connection with the work means that no harm will come to it. Marking Time, Bronllys Hospital Woodland Walk, Powys, UK. Parc Calon Lan. 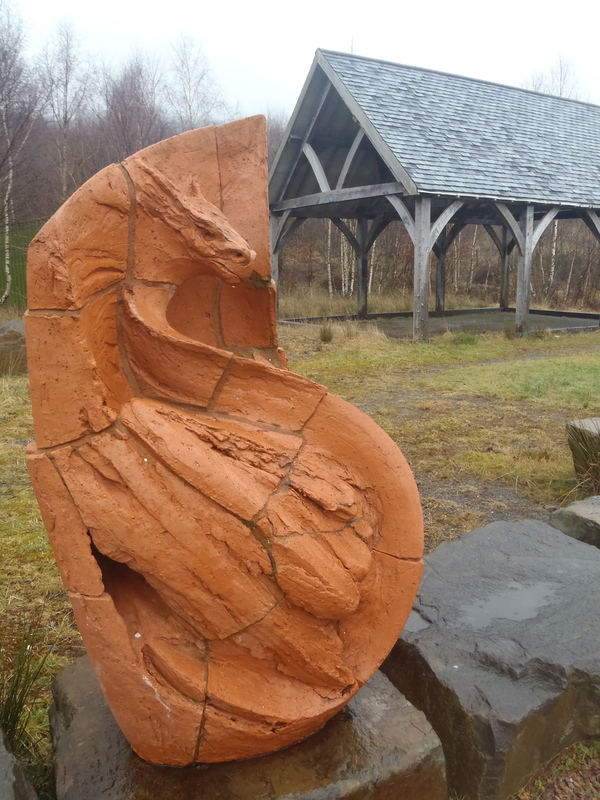 The Community Council of Blaengarw and the Creation Development Trust transformed the ruined land of a huge Coal Washery into a beautiful, serene Park for the Village to share. 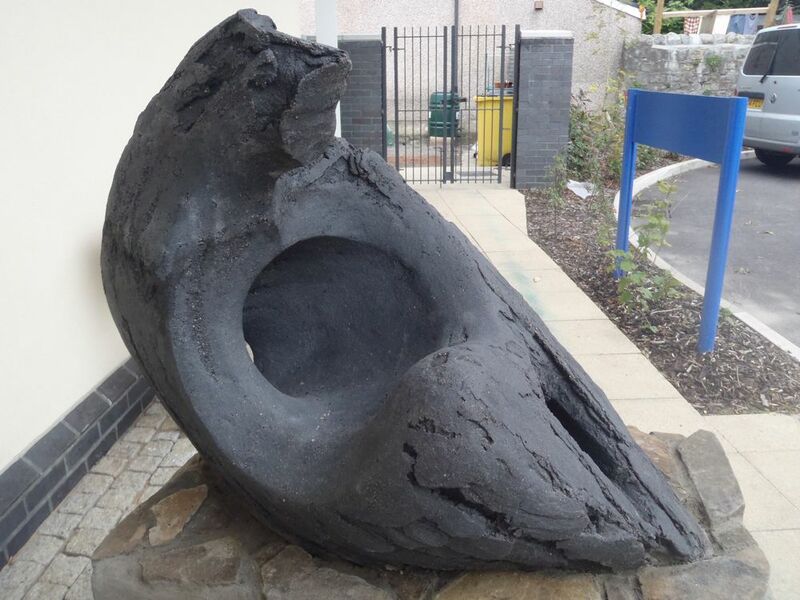 We worked together for a year to make the Calon Lan sculpture that tells the history of the Village and celebrates the famous hymn, Calon Lan, being written and first performed there. 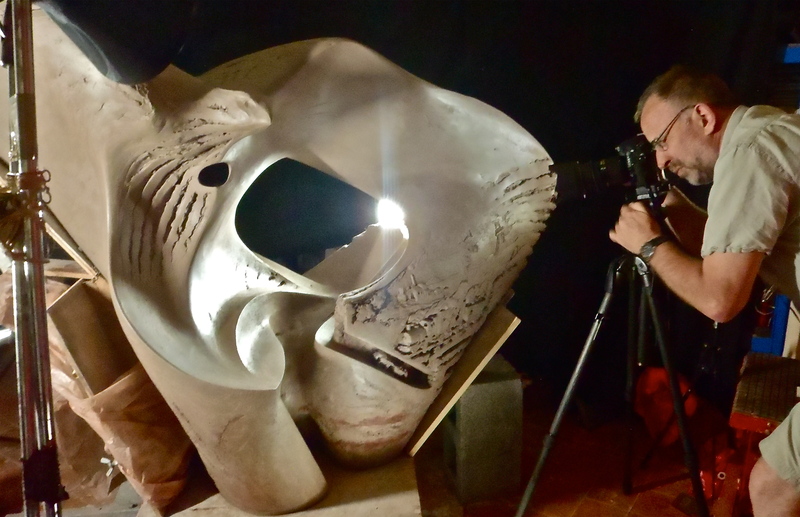 Getting a sculpture made is very straight forward. Whatever stage you are at with your idea simply phone or e-mail me and we can chat generally about the possibilities and piece together all the out-comes you need from the project such as involving the whole family in a Memorial, creating a sense of place or a Community of Practice. A lovely private commission ,’The River’ was a birthday present for someone very special. 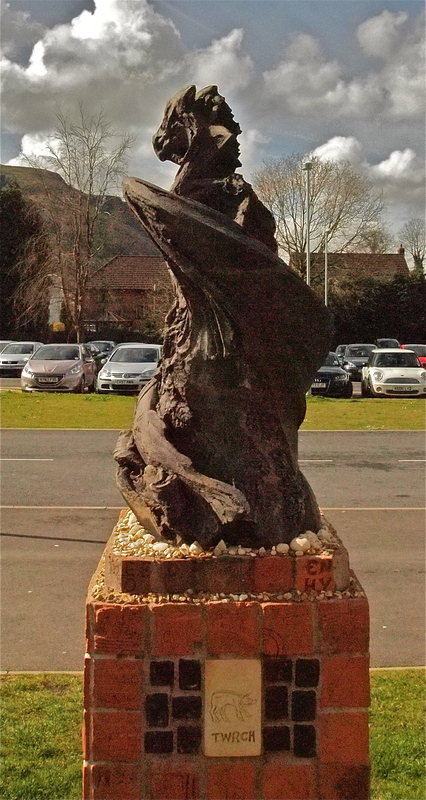 The Memorial Garden Sculpture in Bryncynon is all about creating a focal point to bring the community together after a series of tragic deaths so it was built in shipping containers in the Community Centre’s car park so that the wonderful Volunteers could get to it easily to add carvings like this lovely Angel. 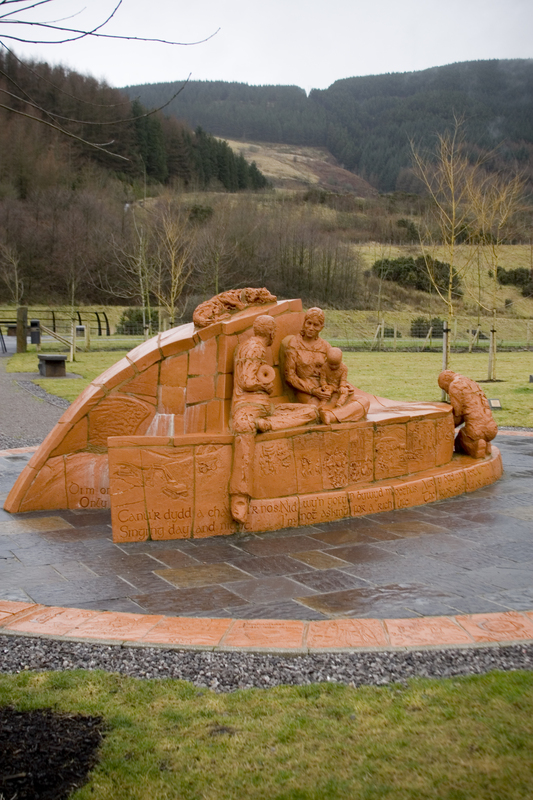 Ocean Colliery Pit Marker, 2m h x 5m l, Blaengarw, South Wales. Many of the Volunteers had worked under-ground and this sculpture expressed parts of the story of Coal that are often glossed over. Ocean Colliery Pit Marker. I do the tricky bits that require a lot of training under the close guidance of local people who really know the story being told. 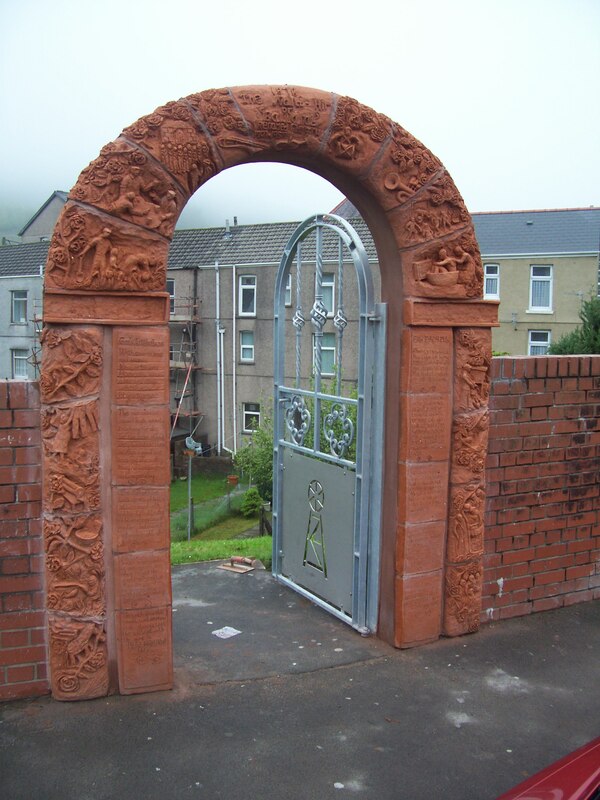 The Balarat Pit Marker Gateway, Blaengarw, was made mostly by the local Volunteers getting back together and using the skills from making the big sculptures. It has enlivened a dreary wall as you come to the centre of the Village. To make best use of our budget we built Ocean and Balarat Pit Markers together in an empty shop on the main street of the next village. Passers-by could drop in and share their feed-back, which was invaluable and added to the Community-building remit of the project on several levels. Volunteer Sharon put in countless hours and took on all sorts of tasks. Here she’s building the structure of a dram on Ocean Colliery Pit Marker. Jim is an ex-miner and a very good painter. He over-saw most of the details specific to Mining so that the record was accurate. When you are ready I will draw up a Budget and Program of Work for your approval. I stick religiously to my Budgets! 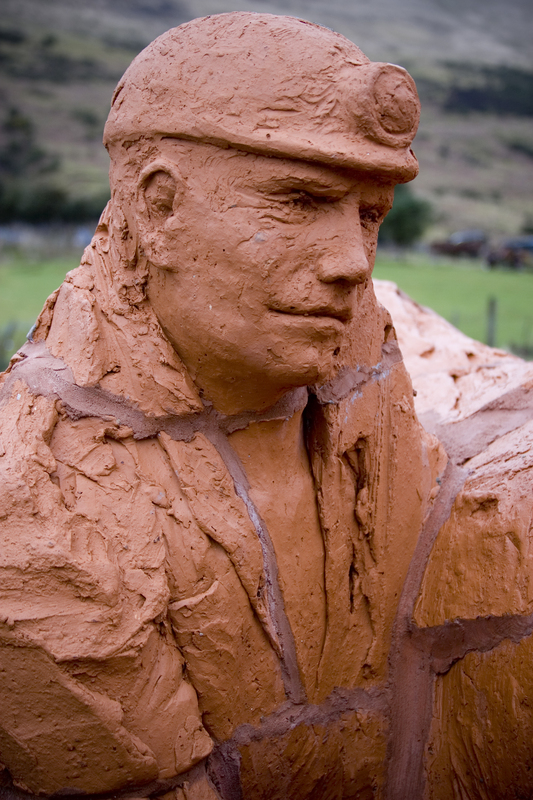 Clay gives excellent value for money; it is quicker to shape and longer lasting than any other material. Payments are made in 3 stages unless we agree other wise. Workshops with anyone participating (a community group or your family for example) will lead to Scale Models and once these are agreed on the full build can begin. A Sculpture around 1 metre high will take 4 months. The huge ones as much as a year. A lot of that time is taken up with drying the clay. Prices start at £700, with the largest to date at 6 metres long costing around £30,000 (half that going on the Installation by a Builder). 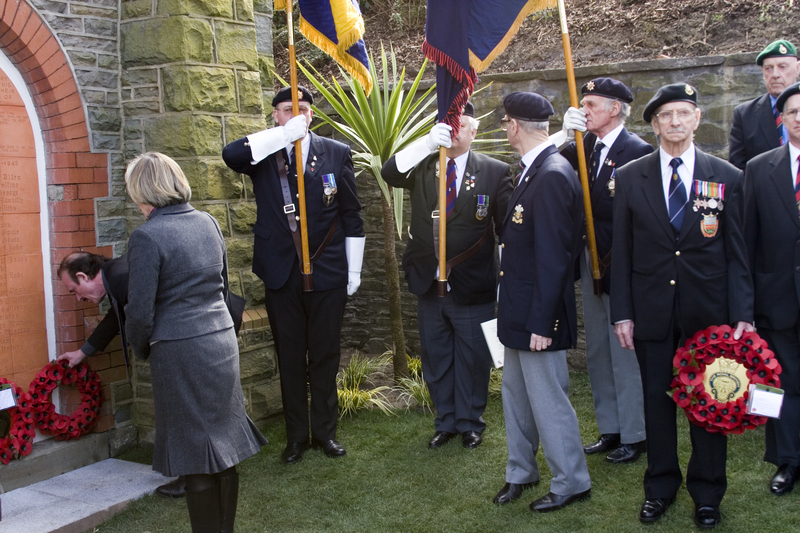 A beautifully carved plaque, done with the late Haydn Evans, for the British Legion was part of the Memorial Garden project for the Feelgood Factory in Brycynon, South Wales. Designed with the Cefn Pennar Youth Club for their football field and built with Groundwork Aberdare in their Poly-tunnels. 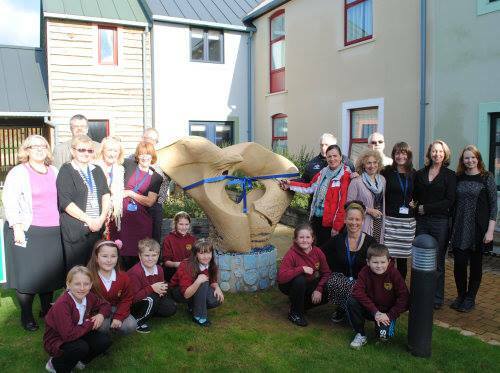 These Coleford Brick Sculptures were made with big Community groups to commemorate their heritage. 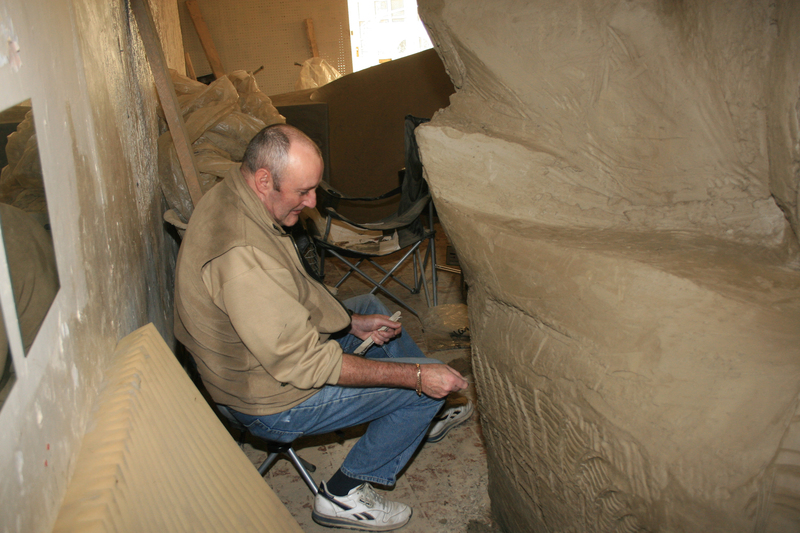 They were built in the Villages so that local people of all ages and experience were able to get involved at every stage of the process, from developing the Themes, researching the images, building the structures and putting on the carved Art-work. It is a wonderful way to draw people together and promote local pride. The results have a resonant beauty no individual could have made. 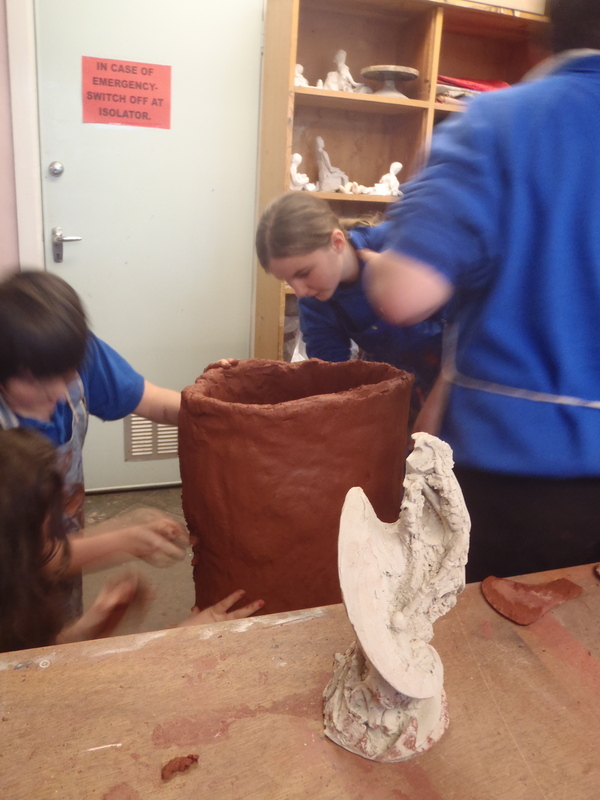 The Pupils at Maesydderwen High School in Ystradgynlais, building their Sculpture. 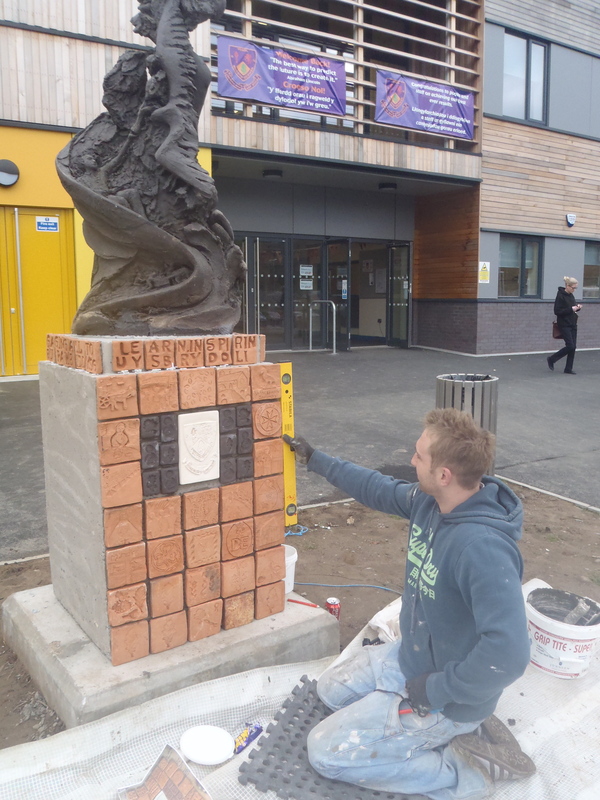 Jamie Kenwood, the first class Tiler from WPC Ceramics putting on the Tiles made and carved by Pupils to show images from their school life and local history. The Sculpture’s installation was under-taken by Wilmot Dixon as part of their finishing touches to the new extension. 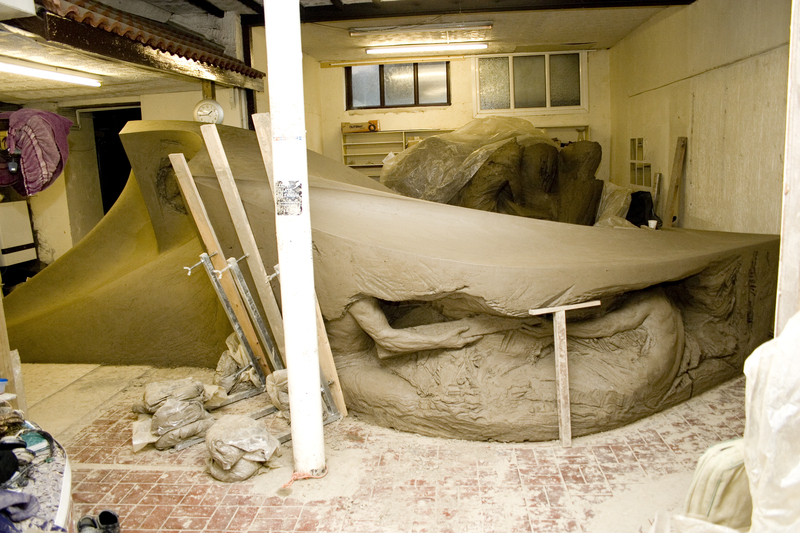 In other projects I run Workshops to develop the ideas and perhaps make some sections of the Sculpture, and then I build the piece here at Osprey Studios. Yma a Nawr was built in Osprey Studios and photographed by Stephen Foote here while it dried. This keeps the costs down and speeds up the time-line. I have space to go up to 6m long. Small pieces are taken just as seriously as the Monumental ones. All these Art-works will last for centuries and they all need to be wonderful so that the people involved will feel proud of the legacy that they contributed to. 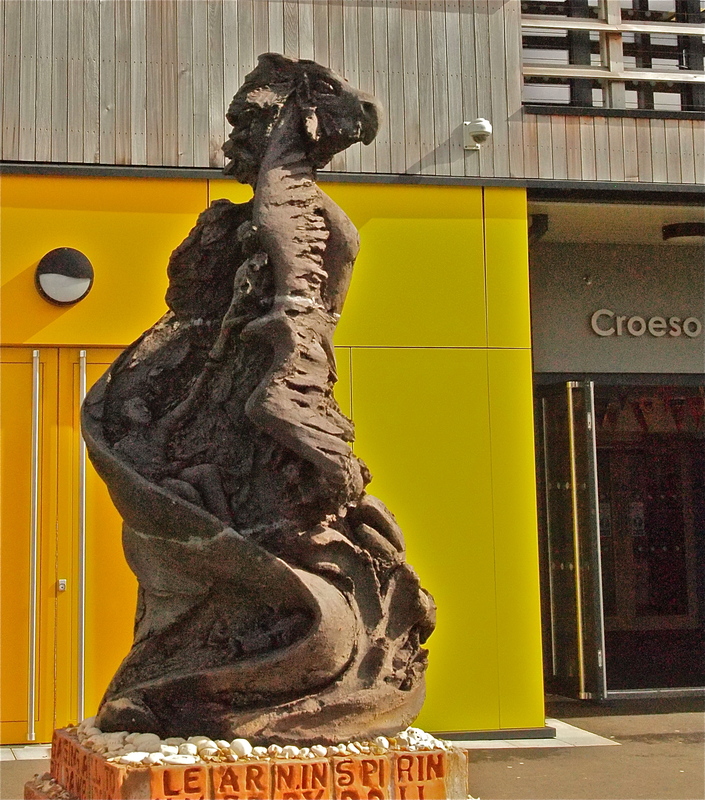 A single Workshop with a very creative group of people with serious Mental Health disabilities lead to this Sculpture for the entrance of the beautiful modern building at The ARC in Bridgend, Wales. The words ‘It’s the wings of experience that let you fly.’ from an Eric Bibb song are impressed in the rendered plinth which was then painted to match the building. 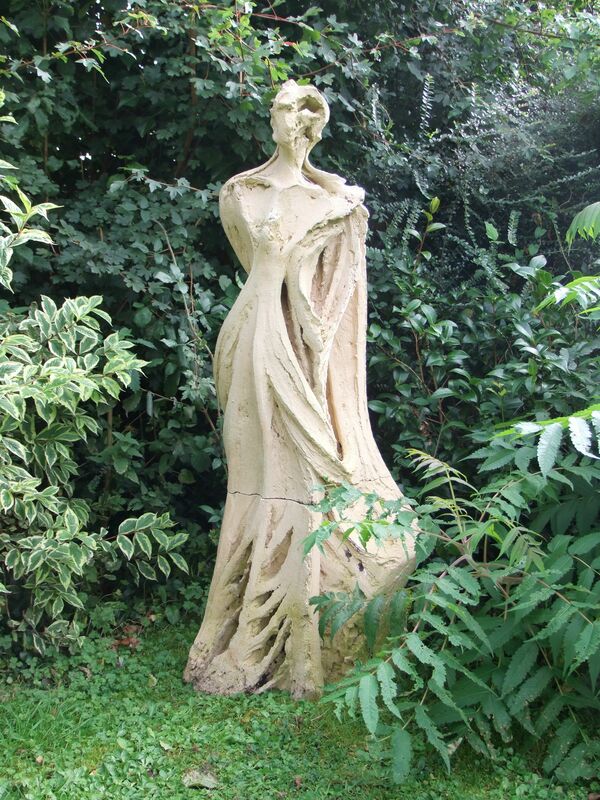 Having collected my Sculpture for years this Client gave me a clear budget and a very open brief. 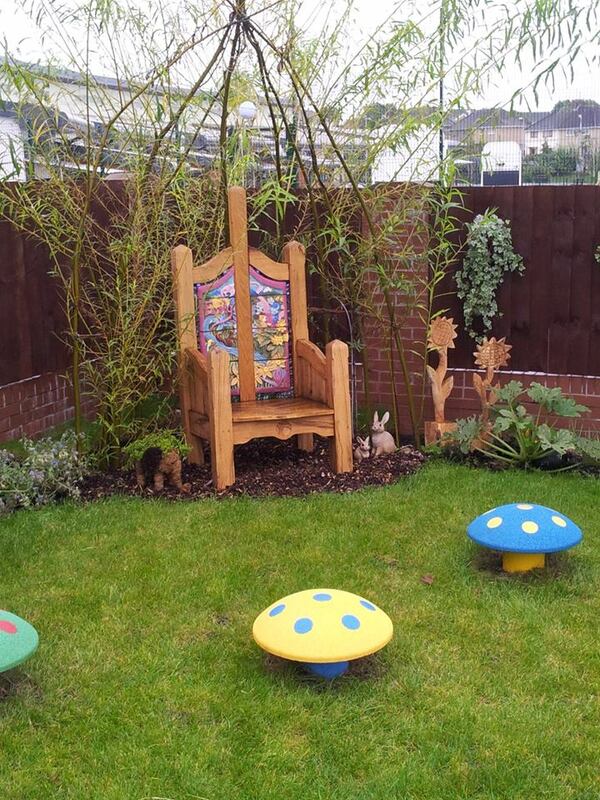 Llys Caradog Story Telling Chair and Sensory Garden, 2013. I made the colourful Panel in memory of a beautiful girl who had been a regular visitor at this very special Respite Centre. Many thanks! I am very pleased you liked this post. I have worked with a lot of amazing people on some extraordinary projects.